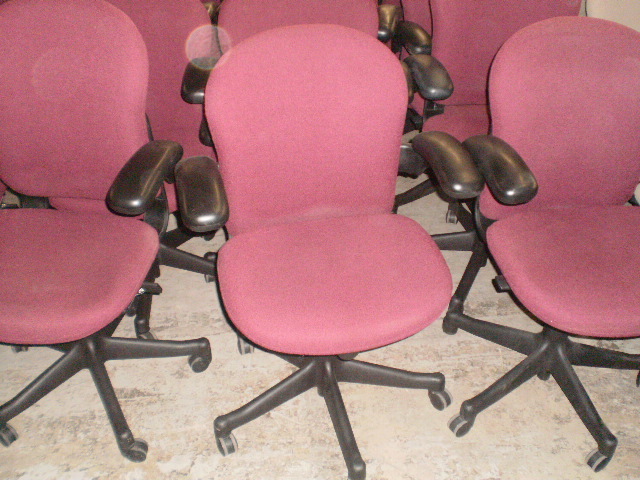 Used Herman Miller Reactions Task Chairs, full feature and in very good as-is condition. 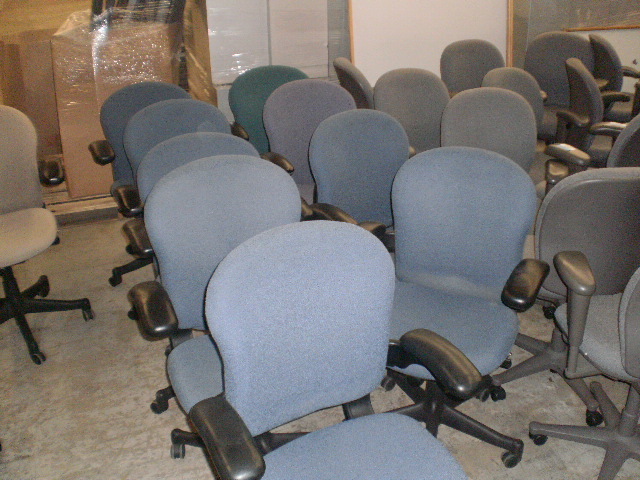 We just unloaded over 800 chairs, all manufactured around 2002, these chairs are in very good (8 out of 10) condition. These chairs have cantilevered height adjustable arms. The arm caps have little to no scratches or scuffs. All have Pneumatic seat height adjustment and back height adjustment. Finishes: All of the plastic backs and arms are black. Gray, burgundy, tan, blue and green fabrics. 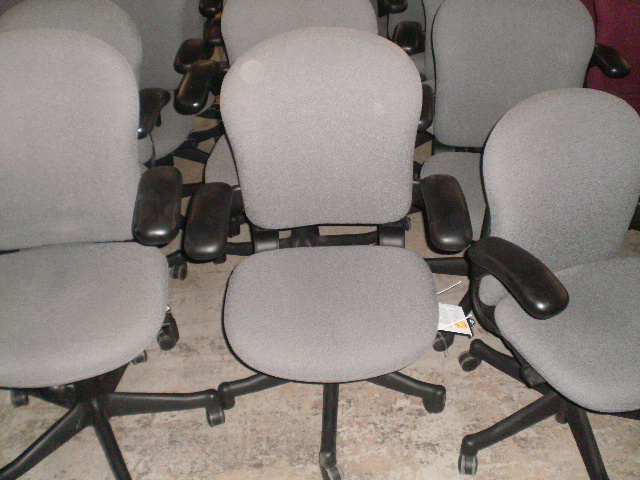 These pre-owned Reaction chairs have all the features you need when working at your cubicle. Some companies use them for their conference room and training rooms as well. Chairs are located in our Cleveland and Columbus, Ohio warehouses. 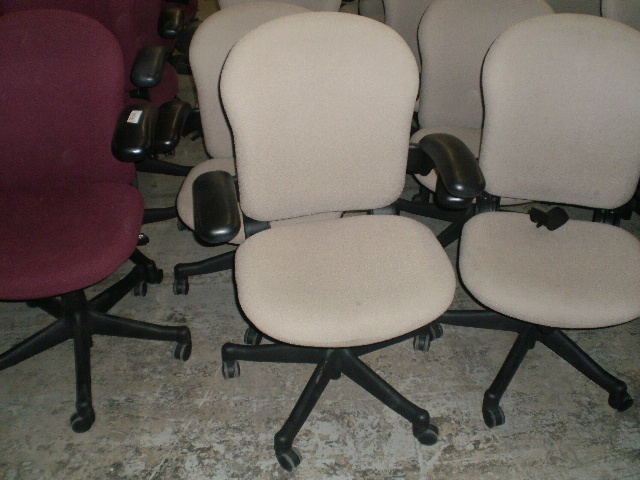 23 Comments on "Used Herman Miller Reaction Chairs"